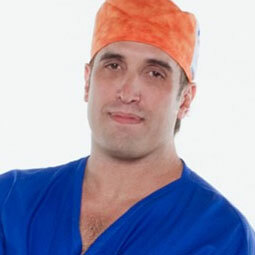 Dr Diogenes Silva, a Brazilian-based anaesthetist, is founder and CEO at Anestech Innovation Rising. Anestech Innovation Rising is a platform that integrates, analyses and delivers data in real time to a number of webtools and smartphone apps to improve safety and efficiency in the anesthetic room. The underlying aim is to ensure the calculations used during anaesthesia are accurate and safe. The startup has won several national awards, boasts investment from the Laboratory of Innovation at the Hospital Albert Einstein and is currently incubated in the Technological MIDI-ACATE, a top 20 incubator in the world. Dr Silva holds an M.D. from Federal University of Santa Maria , a postgraduate degree in hospital administration and health business from the Institute of Hospital Administration and Health Science. He is the Vice President at the Brazilian Association of Health Startups, and has consulted for a number of new health projects. Can you tell me a little bit more about Anestech? During my training in hospital administration I realised that the surgical centre is the centre of income for a hospital. It is an area of high complexity, similar to an air traffic control, but it has historically lacked data management. With Anestech, I wanted to improve data management within the surgical centre; improve anesthetists’ workflows; increase patient safety and legally protect those involved in surgical procedures. Have you faced any challenges developing your idea into a company? The problem is that between an idea and the product, there is a great chasm that requires the construction of a bridge. When you start reaching the end of this bridge, you realise that between the product and a big business there is another chasm that requires the construction of a second bridge. Winning these steps without a solid background in business, innovation and entrepreneurship was the greatest challenge. In fact, I have not overcome the challenge. I can’t overcome the challenge, because the more you expand your business, the more challenges you face and the climb gets steeper. I believe that the great secret lies in managing the challenges and learning to live with bad results and frustration. Success comes on top of a pile of no’s, inevitably you end up learning to work in a hostile environment and not repeating the same mistakes, and from that the results start to appear. Success comes on top of a pile of no’s, inevitably you end up learning to work in a hostile environment and not repeating the same mistakes, from that the results start to appear. What was it that kept you going during the tougher times? The love for what I do and the restlessness about points that can improve and that if they aren’t improved, will negatively impact the health of the patient, the anesthesiologists’ workflow and the hospital economy. Enterpreneurship for me is like a therapy, although it is a more hostile and difficult environment compared to the medical activity, it allows me to channel my energy to do more, which would otherwise turn into dissatisfaction, unhappiness and disenchantment with what do I do. In entrepreneurship we allow ourselves to dream of a better world, that, from my point of view, in classical medicine doesn’t happen. Are there any obstacles that face Brazilian healthcare enterpreneurs in particular? In Brazil, everything seems to work against you. The Brazilian government is a buyer of 50% of healthcare solutions, but at the same time it is an outrage for the entrepreneurial process, for fiscal reasons, for financing reasons and for the excessive bureaucracy. The nominal interest rate in Brazil is around 10%. In this scenario, any investor prefers to put his money in stocks on the stock exchange or in treasury bills instead of putting the money in startups, which is considered a riskier investment. The greatest difficulty to entrepreneur in Brazil is financing. However, the financial sustainability of the health system is the biggest problem of 21st century medicine anywhere in the world. If we do not understand that the doctor needs training in business so that all health gains from it, there will be no success in this regard. This said, are there opportunities for health enterpreneurs in Brazil? At the same time that Brazil is the most challenging of the markets, because it is behind and with a great shortage of products and services, it is a country that ends up presenting many opportunities. If you go into a public hospital, you will come across thousands of insights and opportunities. This is a trend across Brazil, from medical academics and doctors to pharmaceutical companies and health managers. Brazil is forced to be an environment for entrepreneurs because of the various difficulties that surround us. In terms of funding opportunities, Albert Einstein Hospital is an example of an incubator, and has processes of open innovation. I personally am lucky to be involved with good centres and players both from the point of view of training (MIDI) and in terms of financial contribution (Albert Einstein). What motivated you to choose an entrepreneurial path? If you do not measure data, you can’t cherish quality, and processes become sloppy. It is necessary to understand that our capacity to obtain data has grown exponentially and that we have to transform this large amount of data into knowledge, allowing a predictive capacity. The need to incorporate this into medicine to improve quality is what motivates me to entrepreneur. How have you balanced becoming an entrepreneur with your clinical duties? What I see today is that people in general, not only from the medical field, will have more than one job – the multiplurality of the professions is a general trend. The great challenge of this is time. You have to start giving up medicine to think of the other end, because the investor, the user and the accelerator demand this from you. Today I make 80% of my time for innovation and the rest as an anesthesiologist, in the beginning it was half a half. Every health entrepreneur must find his or her balance point, but I do not believe that the health entrepreneur should drop the medicine altogether, because it is in that environment that he realises the need to innovate and change processes. What advice would you give to a healthcare student interested in becoming an enterpreneur? If I had to say anything about entrepreneurship is that its basis is constant questioning. I would recommend this path for sure, because entrepreneurship makes you a better doctor, you begin to understand better management issues, that user experience dictates the success of your actions and that the focus is on delivering value. I would recommend this path for sure, because entrepreneurship makes you a better doctor, you begin to understand better management issues, that user experience dictates the success of your actions and that the focus is on delivering value. Finally, what are the next steps for Anestech? Explode. In terms of really impacting the practice, patient safety, hospital economics and legal protection of all involved. The next steps are the maturation of the business model to achieve sustainable scalability. André D’Avanço is a final year medical student at Federal University of Parana. He has a keen interest in healthcare innovation and wishes to apply this mindset in his future practice as a plastic surgeon. In his leisure time, he enjoys weightlifting, running and reading books.